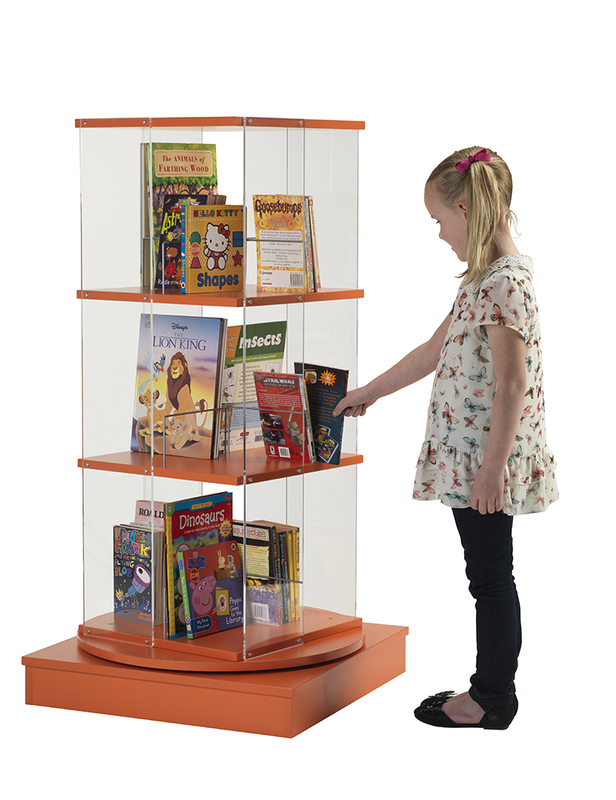 This unit has 3 tiers and has been specially designed to hold picture books. It is made from high quality melamine-faced particleboard and is available in a choice of 12 colours. Delivered fully assembled, this unit is ideal for nurseries, schools and libraries. We offer a range of book spinners. For more information please Contact Us or call us on 01733 511121.